If you’re using an DSLR camera, you’ll eventually require a “Clean & Check” to remove dust spots you encounter due to a dirty camera sensor. When it occurs it is the result of sensor dust and you’ll need to know how to clean the sensor, and how to minimize the risk of this happening again. What does Sensor Dust look like? the navigator to 100% to examine your image. If you see spots/blotches such as the ones in Example B, your sensor needs cleaning. (1) Viewfinder focusing screen and DSLR mirror. This type of dust is clearly visible in the viewfinder, but fortunately doesn’t alter the image file. Try looking through your viewfinder and changing the f-stop (while holding the depth of field preview button). Viewfinder dust will appear the same size regardless of the f-stop. (2) Front or rear of your lens. This one is a little trickier to diagnose because spots on your lens may also impact your image.  Try changing your camera lens to see if the spots remain. 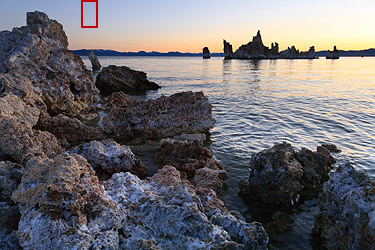 Unfortunately, lens spots generally appear larger and more diffuse (than sensor dust), and are generally visible with wide angle lenses at high f-stops (near f/22+). The best was to check for dust is to aim your camera at a clear/open sky or a light-colored wall. If you’re still seeing spots it is safe to assume that the dust has accumulated on your camera’s sensor. Sensor dust is never ideal, and it’s recommend to use your camera’s internal sensor cleaner on a regular basis. 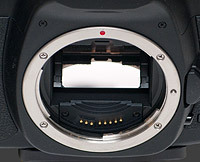 If you are advanced, you may try to clean the sensor on your own, however, you must be careful as the slightest movement can cause misalignment of your camera’s mirror and can create focus issues. Most professionals don’t trust themselves to do this and get their camera’s professionally cleaned. You have the same option as our professional clients to bring your camera and lenses into Larmon Photo or Foto Forum for a “Clean & Check” so one of our experts can make sure your DSLR is in optimum condition to create great images for you. Let’s consider a clean and check as your camera’s annual physical. Best time to do this is before you go on vacation. We do a plethora of Clean & Checks that are done on a first in first done basis, so don’t wait until the last moment. So what should you bring to your camera’s physical and what do we clean and check? Your DSLR – so we can Clean & Check your camera’s sensor, focusing screen, rear viewfinder and check the security of the lens mount. All of your lenses – so we can properly Clean & Check the front and rear elements.